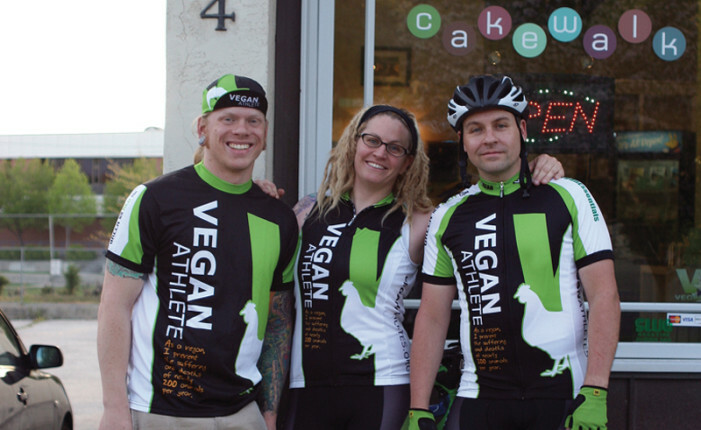 Vegan Cyclist Dave Harward: I have been vegan for about 7 months now. My diet has been vegetarian for 8 of the last 10 years. The reasons for choosing a vegan diet are ethically centered. Proper treatment of animals became a big reason behind my veganism. I don’t like to make my decision to be vegan polarizing for other people. It fits my beliefs and concerns.